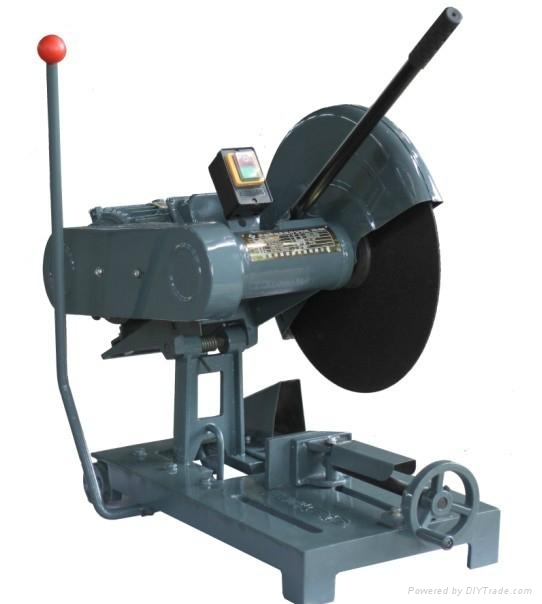 The two handles abrasive wheel cutting machine with patent has the new function of “Horizontal shift during cutting”. 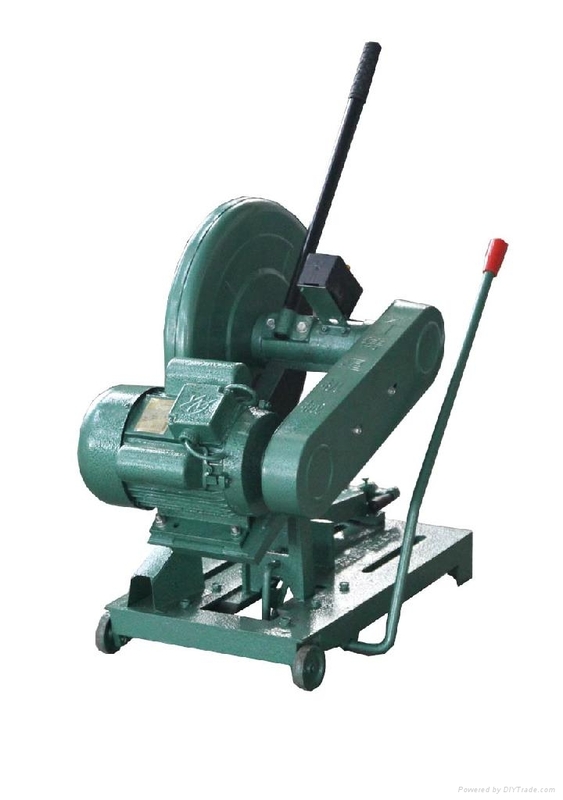 It can control the cutting position between work piece and cutting wheel, and change the position all the time. So the cutting resistance is reduced and area temperature between work piece and cutting wheel is not going to be too high to burn the wheel. What’s more, the surface of the machine will not become blue and easy for machining afterwards. Though this effective function, we do really realize our target “less time, less consumption of the electric power and cutting wheel”. 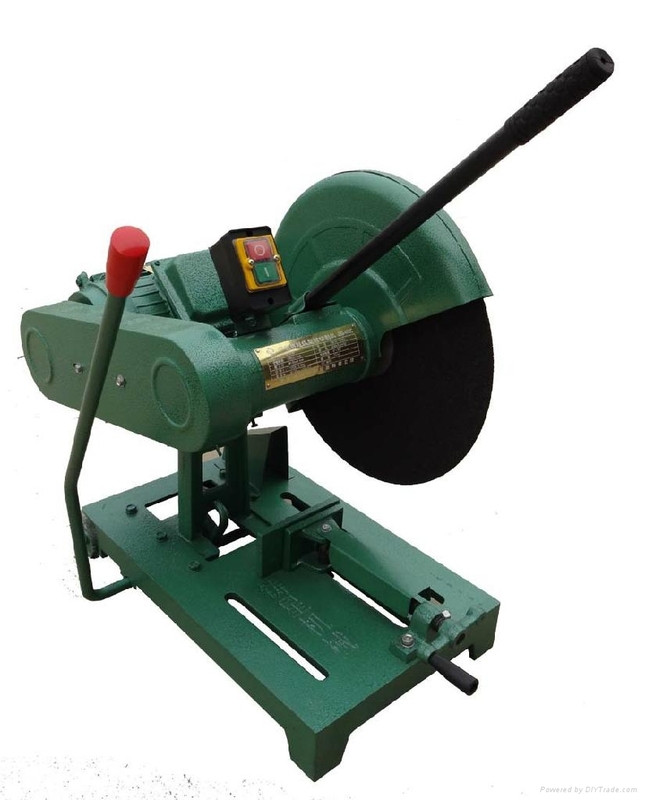 After strict test, our new developed abrasive wheel cutting machine with patent have many advantages comparing with traditional cutting machine. 4. Consumption of abrasive wheel is 20% less. For example, for normal cutting machining, when it cut φ50mm metal material, it takes 123 second, and no capability to cut material with bigger diameter. With our machine, it takes just 35 seconds to cut φ50mm metal material, 100 seconds for φ100 metal material. Below item No. : J3G-400A, 400B, 400C, 400H is all under Patent: “Horizontal shift during cutting”, but just with different motor power and voltage. Below please find the specification.